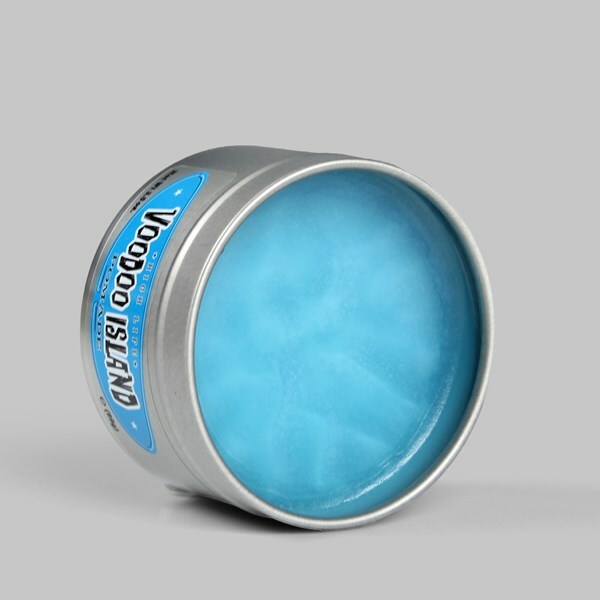 High Life Voodoo Island Pomade is a true medium hold and with good amount of shine. It will remind you of you’re favorite Tiki bar with the ocean blue color and the scent of Pina Colada. 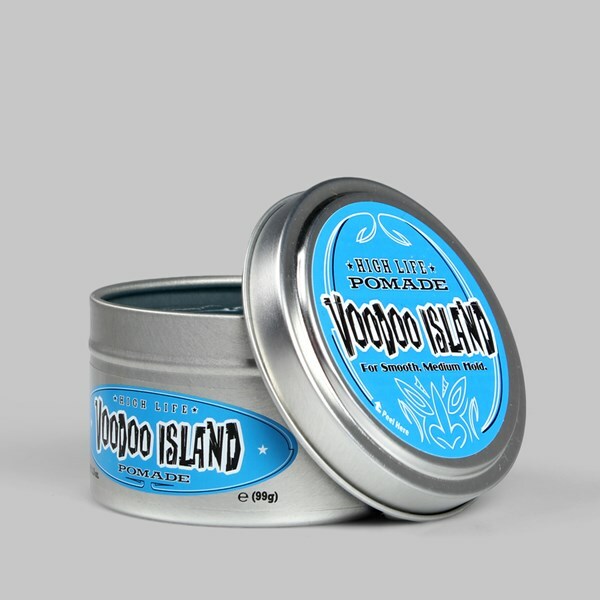 Place desired amount of High Life Voodoo Island Pomade between palms and apply to damp or dry hair. Use fingertips to spike, sculpt and create stiff definition.